PC Games Downloads - Fashion Fits! Francie just got a new job at the Uber-Mart... as their only employee! 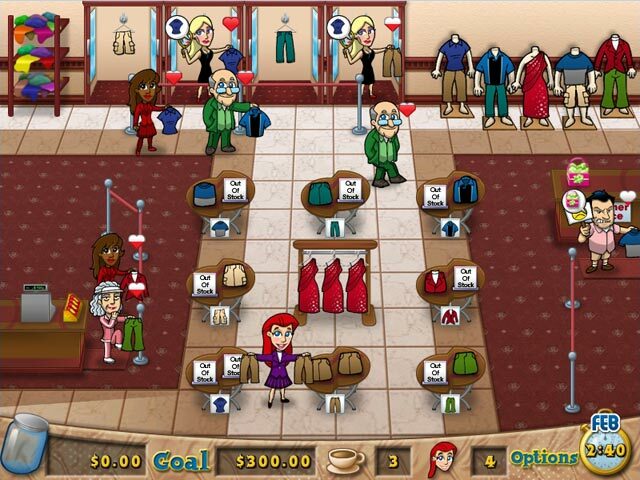 It`s up to you to help her run this fast-paced clothing store. Fitting rooms will need to be cleaned, tables will need to be stocked, and customers will need to be helped. Complete the first year at Uber-Mart and then help Francie open up her own line of clothing stores! Spruce up your store with fancier clothes and trendy new upgrades. It`s up to you to set the fashion trends!